New Microfiber Cleaning Textiles & Hospitality Linen Supply for ISSA 2018. This year’s ISSA North America show is shaping up to be one of the best and Monarch Brands is excited to be participating again. In between learning new skills and ways to increase efficiency please stop by Booth 4908 to see what’s new in microfiber cleaning systems, hospitality linen, and industrial wiping products. Loop mops soak up more water than a flat mop when wet, and also trap as much dirt as a dust mop when used dry. Quickly change heads without changing the frames. As this mop is Velcro® backed and color-coded, it works perfectly with our flat mop, scrubbing flat mop and dust mop. SmartRags are the smarter tool for all tasks. Each box contains 50, 12”x12” microfiber cloths with precision cut seamless edges. 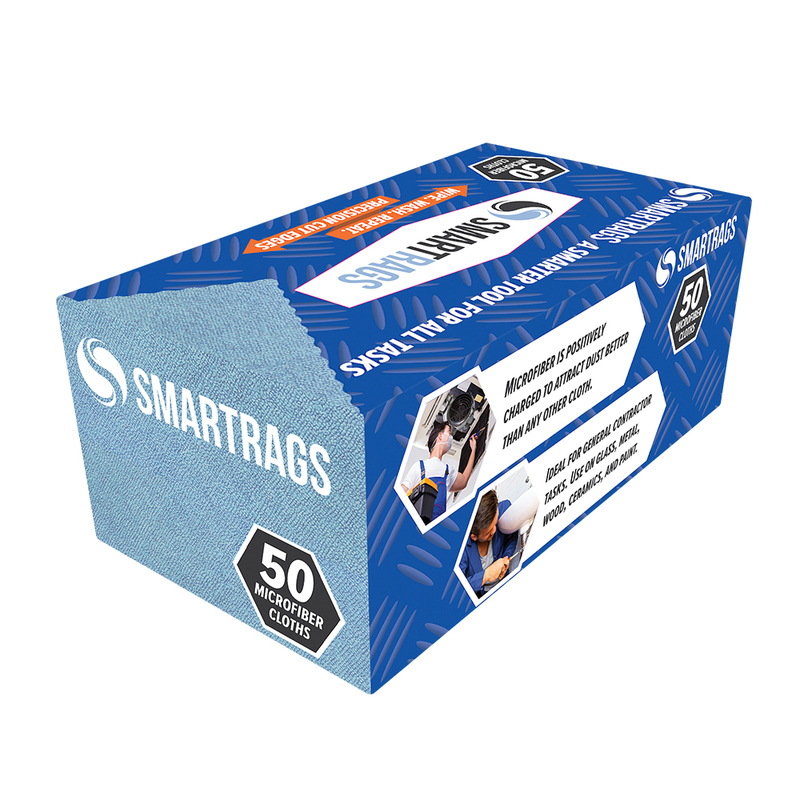 Smaller and more compact than regular microfiber cloths, SmartRags are ideal for utility carts and route driver POP sales. SmartRags are ideal for high-loss environments. We now carry traditional canvas backed cotton mops in 24”, 36”, 48” and 60” sizes. A less expensive alternative to microfiber dust mops, these cotton mops use the same ‘keyhole’ mop heads and poles. Due to the success of our cabana towels we have expanded our line the 2019 season. 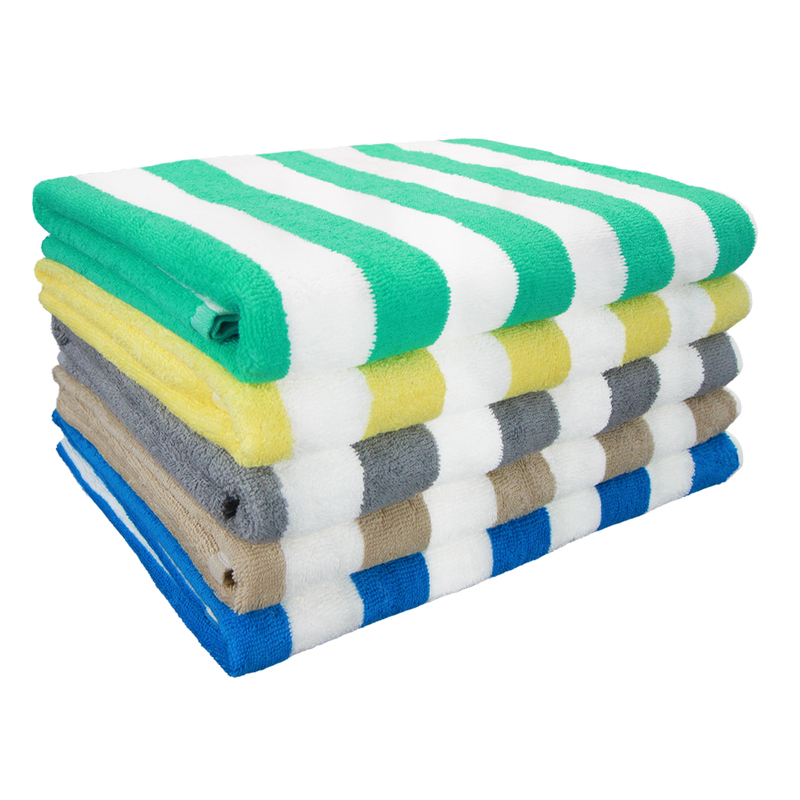 The towels are oversized at 30” x 70”, are 17lbs/dozen, and feature 100% 20Double ring spun cotton. The towels have been pre-washed to ensure linting is minimal, and are packed 24 to the carton. Available in blue, green, yellow, beige, and grey. 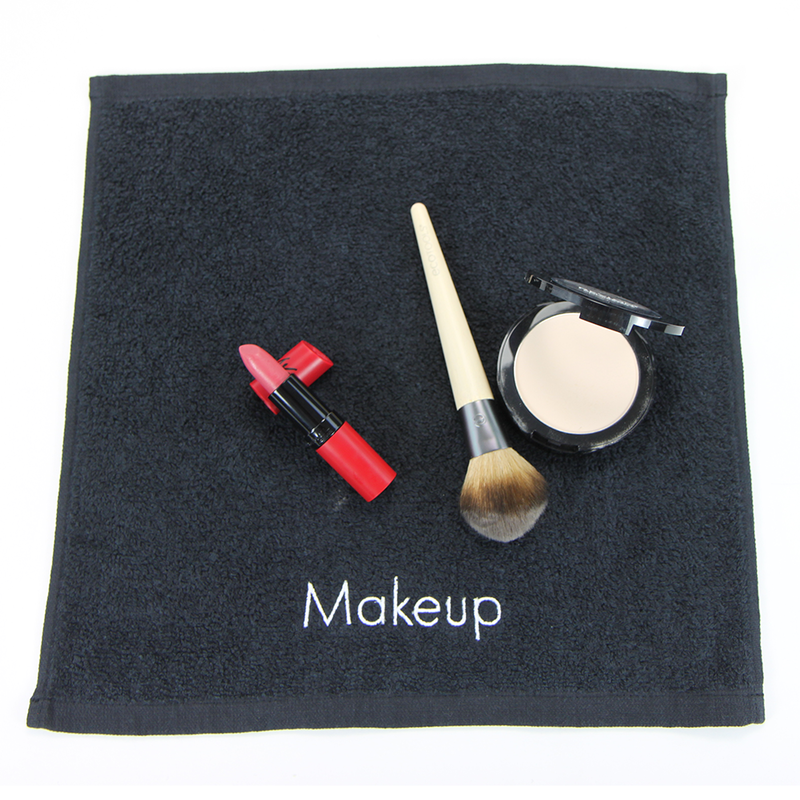 Makeup towels are quickly becoming a popular guest room staple because these little towels extend the life of white bath, hand, and wash towels in the laundry. White towels show every blemish caused by oil-based makeup. These black towels are bleach resistant and hide markings left (even after several washes). Every hotel room should be equipped with one of these premium towels. This year we’ve augmented our standard spun poly napkins with a line of oversized (18” x 22”) bistro napkins for the cafe, bistro and brunch market. These yarn-dyed carton-packed napkins come in black, blue, burgundy, green, and red. Monarch Brands now features a full line of square table linen to match our spun poly napkins. Spun poly tableware lasts longer than cotton equivalents, is stain resistant, and virtually wrinkle free. The lines is available in black or white in 42” x 42”, 52” x 52”, 62” x 62”, 72” x 72” and 52” x 114”. Stop by the booth, say hello, and get your badge scanned to enter. Thank you for your request. One of our account executives will reach out shortly to confirm your requested time.